An energetic hike to the top of the Kips (the hills to the north of the cottages) is highly recommended if not compulsory for Eastside guests! The views are spectacular both to the north (the Forth & Highlands), or to the south (Eastside & the Moorfoots). Take a picnic & make an afternoon of it before returning to a warm cottage, a deep bath, and a roaring fire. From Eastside farmyard head out past the kennels, past the sheep shed & over the ford heading up the track on the right-of-way towards Balerno. Don't forget to stop and look behind you as you progress up the hill. The views down the valley behind can be worth taking a picture. Once you reach the top of the track or 'Poles', take the path to the right. This heads straight up the 'West Kip'. The path is steep in places and it gets slightly rocky towards the top but no scrambling is required. The path narrows as the West Kip summit is fairly sharp. Look down to the north over the Hare Hill - a raised blanket bog home to red & black grouse. In the distance is the Firth of Forth & The Highlands. To the south is the Eastside valley & Moorfoot hills beyond. Following the path you come down onto the saddle before a short climb onto the East Kip summit. From here you get a better view of the Logan Lea Reservoir & Green Cleugh glen. The glen is famed for its rock formations as well as its flora and waterfall. This is an adventure for another day however. See Heather Moors, Waterfalls & Peregrines. 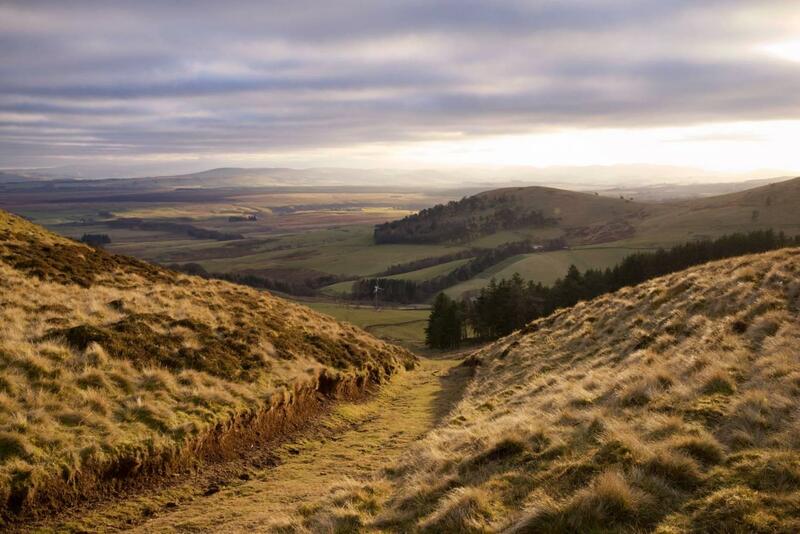 Head down the East Kip path to the 'Nick' (the col between East Kip and Scald Law). Here there is a grassy crossroads. Turn right & follow the grass track down from the 'Nick' back to the cottages. Pass through a gate and follow your nose - you'll be back at Eastside in no time.